Seeker of the Lost - The Story of Saint Anthony. Here is the story of a Saint who was a great missionary preacher and who got to hold the Child Jesus in his arms. He brought many people into The Faith and is the known as the patron saint to help find lost items. God's Hero on Horseback - The Story of Saint Joan of Arc. Here is a story of vision and bravery, fierce determination, and loving surrender to God's will. 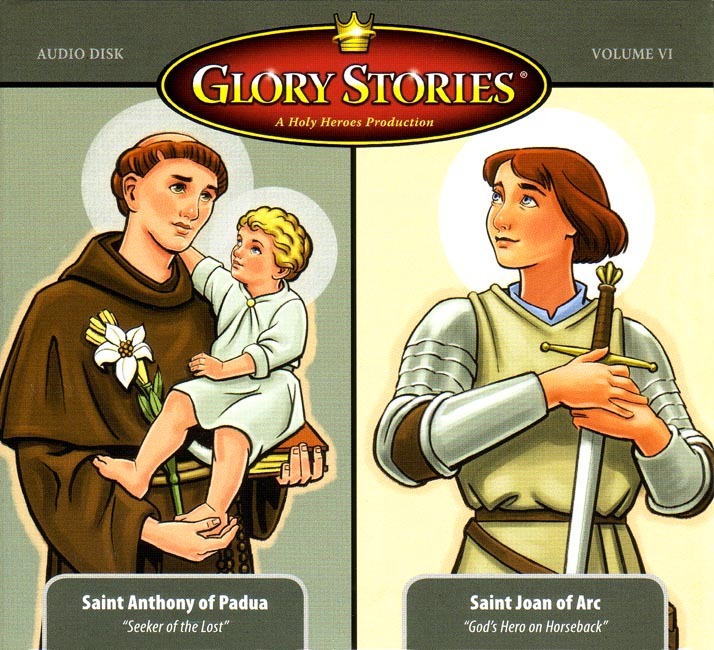 (Note that St. Joan was burned at the stake and the presentation of this may be a bit disturbing for younger children.